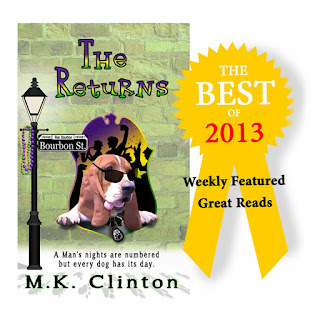 Into most dog’s life, a bit of ear trouble must fall. 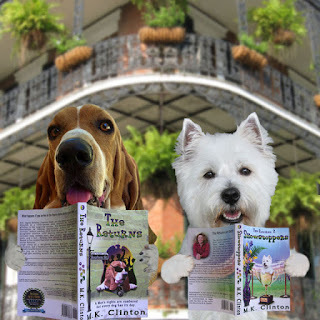 Basset Hounds are notorious for having ear infections. 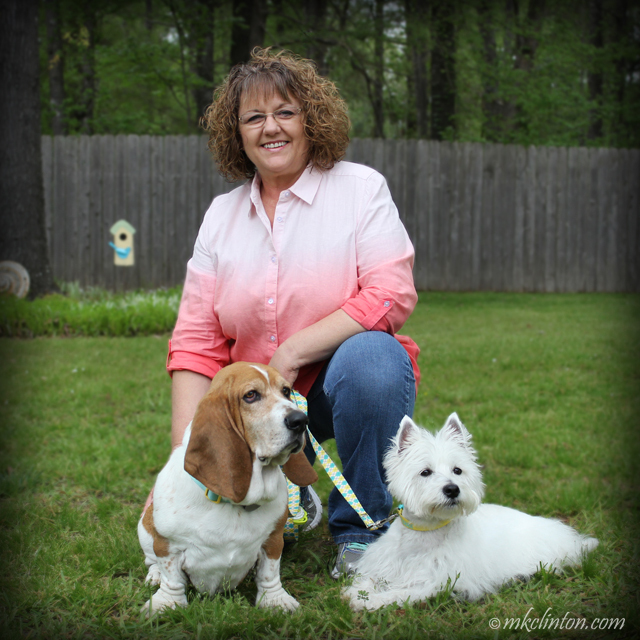 Bentley suffered with them for the first 8 years of his life until I discovered a DIY formula that put an end to his chronic ear infections. This formula is great for his inner ears but does not do anything to keep his long ears free of dirt and ear wax. For that job, I fetch my bottle of Dr. Harvey’s Herbal Ear Wash.
Dr.Harvey’s Herbal Ear Wash is a wonderful alternative to chemical ear washes. 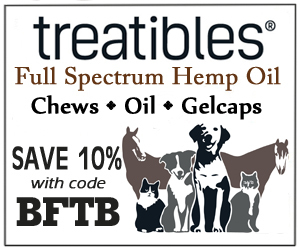 It is made in the USA and is anti-fungal, antibacterial, and antiviral. Like most dogs, Bentley watches every move I make. He knows when it is ear cleaning time so when I apply the liquid to the cotton pad, he walks over for his ear wash! 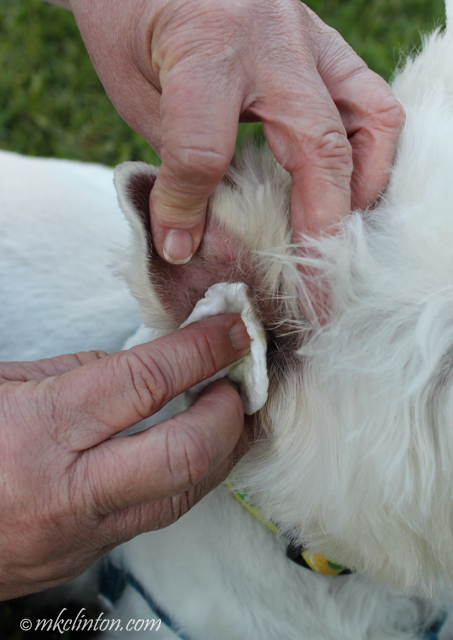 Remember, NEVER insert a swab or cotton pad into your dog’s ear canal. 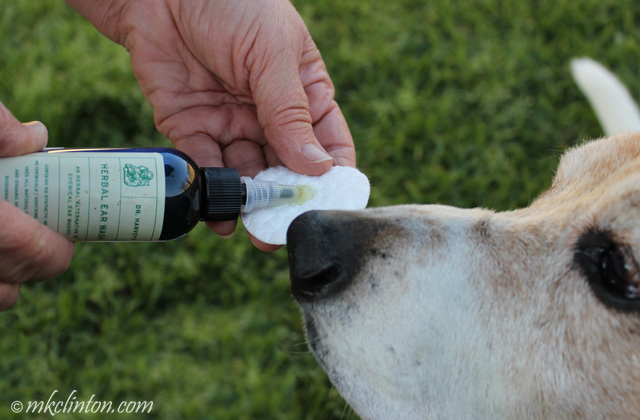 I have used this Herbal Ear Wash to keep Bentley’s ears healthy for years. It cleans his inner flap and leaves them smelling great! He enjoys getting his ears cleaned. In fact, he finds it downright relaxing! You can see by the list of ingredients that it is gentle without the use of any chemicals. I’m so proud of Bentley’s ears. Our vets are always amazed at how healthy and clean they are when we visit. That was not always the case and I believe a healthy diet of Dr. Harvey’s food and routine ear maintenance are the two most important factors. Most dogs like Pierre aren’t bothered with as many ear problems because their erect ears don’t harbor moisture to breed bacteria. I have never noticed any trouble with his Westie ears until recently. 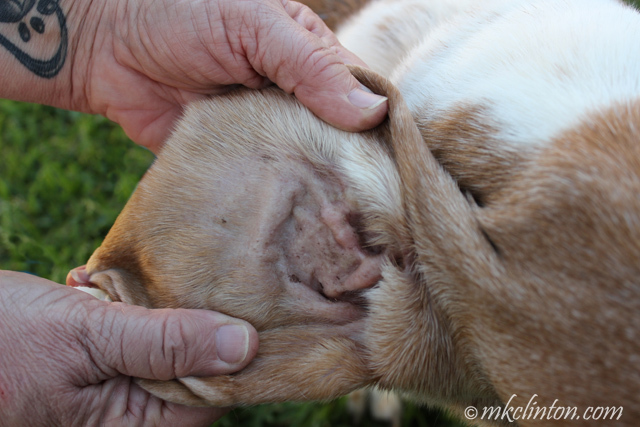 For some reason, the inner surface of his right ear is very dry and rough to touch. It was when we were at the vet’s office and I was loving on him that I noticed his ear looked gunky. 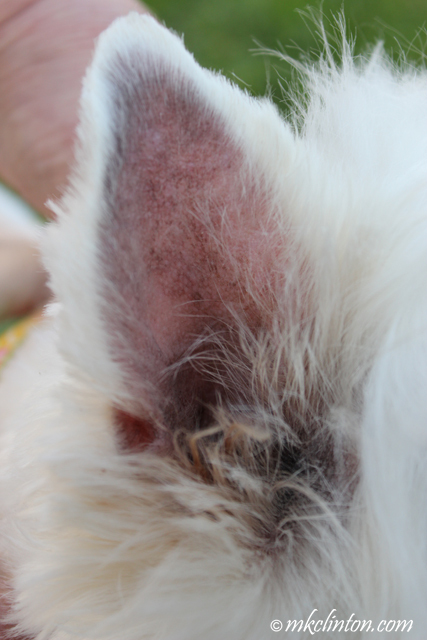 The vet examined it and said his inner ear looked fabulous and recommended I use an ear wash to help. 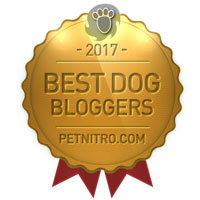 There is no way I am using the same stuff on Pierre’s delicate ears as I use on Bentley’s, so I turned to the people I trust with all of my dog’s needs…Dr. Harvey’s. 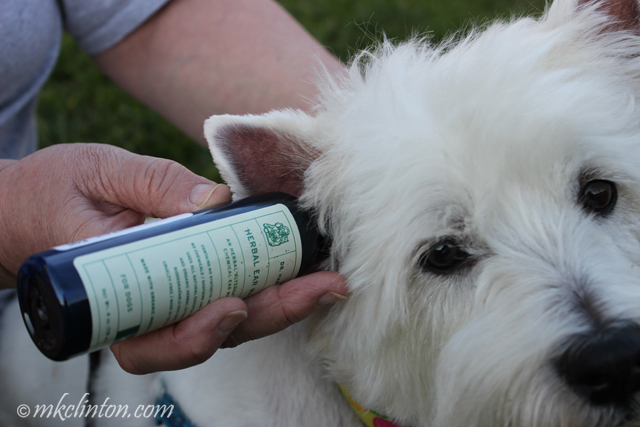 The Herbal Ear Wash would be perfect to get Pierre's ear back to its perky self! I wanted to make sure that we started off with a clean ear. The directions for using this product could not be easier! Shake well before using. Open the nozzle and apply liberally into the ear canal. 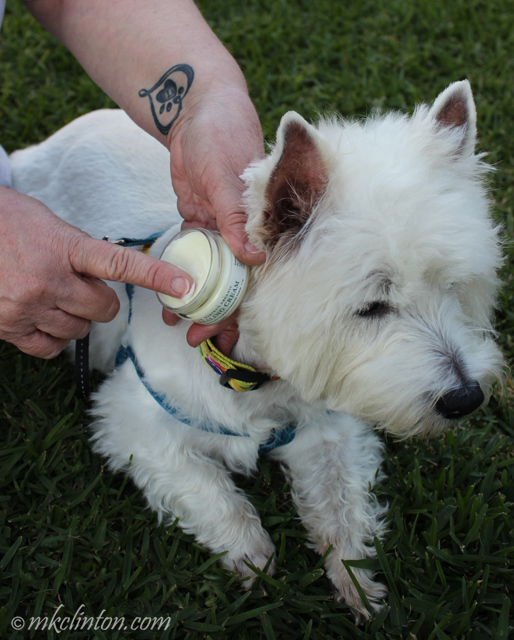 Gently massage the base of the ear for a minute or two, then allow your dog to shake out any excess. Once I used a clean cotton pad to wipe the inner ear, it immediately looked better. The truth is, I could probably rely on the Herbal Ear Wash alone to promote the healing of his irritation. However, whenever the boys get ANY type of boo-boo, I count on one Dr. Harvey’s product to work its miracles. I can’t adequately express how much I LOVE this Healing Cream. 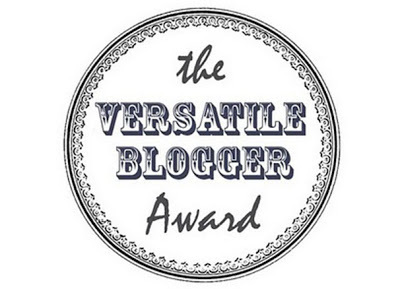 It has helped with rashes, cuts, scrapes, itchy spots and booty issues. There is a jar in our first aid kit in the car and one in the kitchen. Seriously, it is amazing! You can see how it helped Bentley's armpit in "The Magic of Dr. Harvey's Healing Cream." It’s been a little over a week since I’ve been treating Pierre’s right ear. He isn’t scratching nearly as much, and the inner ear is much softer to touch. 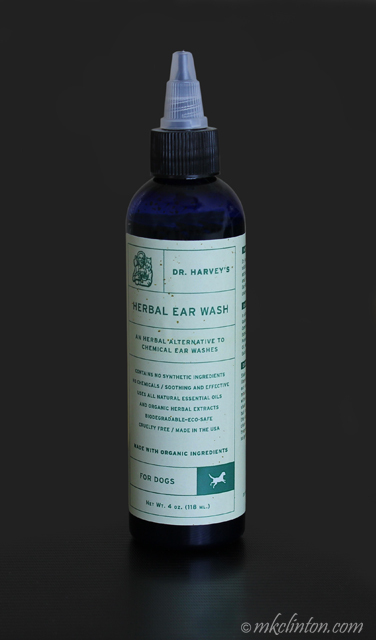 We will continue with our Dr. Harvey’s Ear Wash and Healing Cream until his ear is completely well. Be sure to follow Dr. Harvey’s on social media! 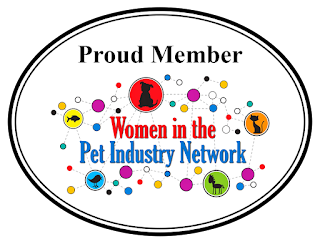 Their Facebook, Instagram, Twitter, and Pinterest accounts are fun, cute dogs and true pet parent’s testimonies that will amaze and inspire you. Of course, always use our ambassador code to save 10% on your order! 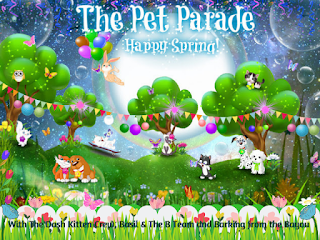 And now that you have squeaky clean ears, you can hear the critters in your yard even better! 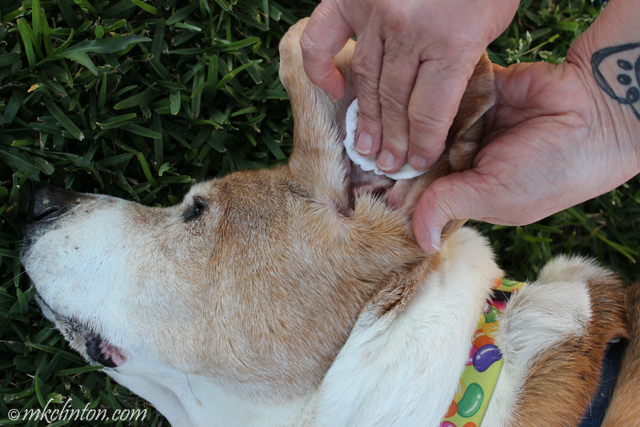 Clean ears are a must, especially for those of us with long floppy ears. We don't have gunk in our ears unless it is something the ear cleaner washes out, but cat bro Bert sometimes does. 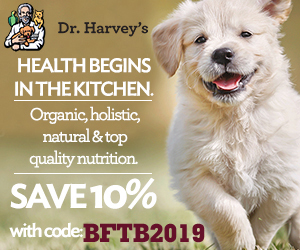 We're coming up on 2 months of eating Dr Harveys Canine Health. 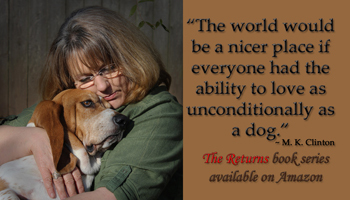 It seems to be a real good choice for us, and Mom is getting a routine down to make all our meals up for three days at a time. 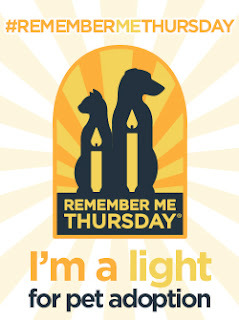 It is an adjustment, but one we think is a good one. 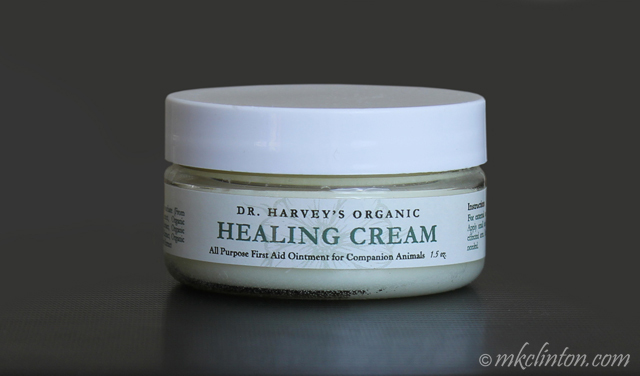 I purchased a jar of Dr. Harvey's Healing Cream, and I've used it several times on the cats...and even on myself! 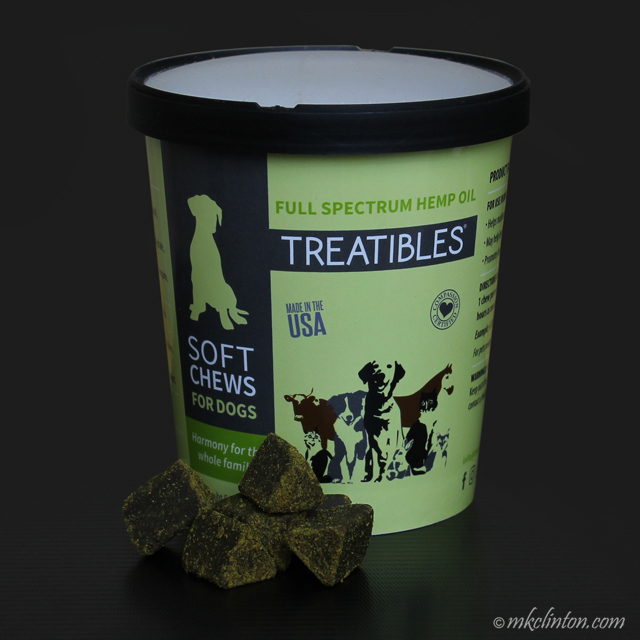 Poor Paddy O'Malley ends up with scrapes and bumps and itchies, and this cream is pet-proof, in case he licks. That sounds like a great product. We just get non=alcholic baby wipes. But the scottie ears could do with something like Dr Harvey's. Will have to check it out. Cockers are very prone to ear problems with their long floppy ears. Old Charisma, Miss Ginger, and good old Joey dog all had terrible ear infections. I am super lucky that at 10 years old, my ears are perfect! I'm super proud of that! But we'll keep your product in mind just in case. I have been very lucky not to have ear problems but we have a new dog in our extended family who does. Thanks to you I know what to recommend. Dr. Harvey's makes great products!